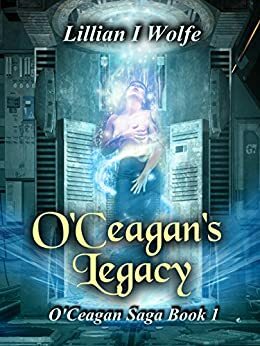 I have been working on the new novel, O’Ceagan’s Legacy, and it is coming along pretty well. Not as fast as I’d like, but at least progressing. It took its first deviation from my original plan yesterday, which is a good thing. It means the characters are becoming real in my mind and making choices that I didn’t expect. This is what makes writing fun! 1) a gift by will especially of money or other personal property: bequest. In my novel, the “legacy” is acting on more than one level. It also stretches those definitions to something more than what they might seem. But, as food for thought, a legacy can consist of more than money that is inherited. It can be a house or land or family jewelry. The value may be intrinsic or for the history. It can be practically worthless monetarily, yet worth a fortune in knowledge or sentimental value. How will this play into O’Ceagan’s Legacy? Quite interestingly, I believe. So working on chapter 7 now and lots to go yet, but feeling that this tale will be a pretty good read down the road. Not quite ready to put up a blurb about it, but it will be coming soon along with an excerpt from the prologue. I will tell you that it has roots in Celtic mythology and it is set in the far future. And there is a space freighter involved called “Mo Croidhe”, which is Irish for “my heart”.